Cornflix TV Turns Your Computer & Apple TV Into A Giant Internet TV Station! Remember how we used to laze around at home, surfing channels on the television with the remote control and aimlessly hoping to discover interesting content? The simple pleasure of not knowing what to expect — and then being delighted by a random channel discovery — has slowly gotten replaced by the overwhelming amount of stuff on the Internet and social media sites like YouTube. But we know what the experience of browsing through channels waiting to be delighted feels like, and newly launched video platform Cornflix TV wants to bring that back. Navigating the Cornflix TV site should be simple: you can select the menu to explore the different channels which are preloaded. Say you are interested in catching up on the news; select the “BCC News” channel, and Cornflix will preload the latest BCC News video on your screen. Within the BCC News channel, you can also toggle next to play the next video, just as how you would use a remote control. Anytime you want to switch channels, you can go back to the menu to explore. 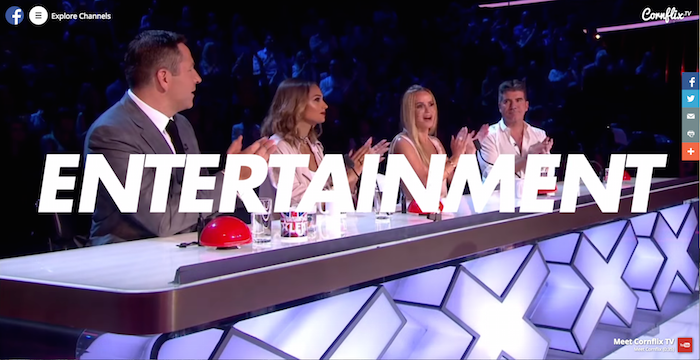 “The online video experience has barely evolved ever since YouTube was launched a decade ago. With hundreds of hours of content uploaded every single minute on YouTube and other video platforms, discovery is a major problem. Cornflix.tv addresses that by curating and aggregating the best videos on the web onto a single platform with a beautiful fullscreen design with a minimal UI that places the video content front and center,” explains Lee Ken Ming, Founder and CEO of Cornflix TV. According to Ken Ming, Cornflix is eyeing the upcoming smart TV and Apple TV space, and the team is currently working with manufacturers to bring Cornflix TV to every living room. Already, the Cornflix TV app is slated to be available on Android and iOS devices — and specifically, to Apple TVs. Once the app is approved, you can begin to use it to view video content via your Apple TV, something which Ken Ming is very excited about. Having tried Cornflix TV, we couldn’t help but fall in love with the simplicity of the app and the content curation on the platform. 1 minute into the web app, and we were already browsing video content from various channels. 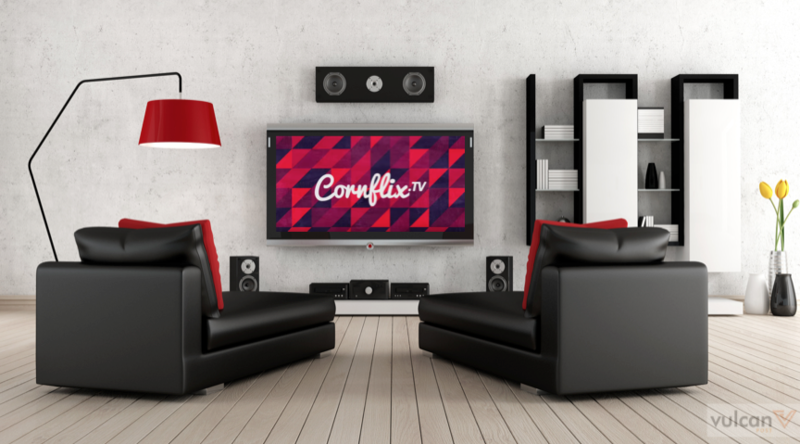 Cornflix TV presents itself as a prettier version of YouTube’s discover, and while we have not tried it on any smart TVs, we expect the Apple TV remote control to unlock the full potential of the app. Prior to launching Cornflix TV, Ken Ming also launched Popcorn, a cinema movie showtimes aggregator app in Singapore which has garnered over 1 million downloads so far. And despite how everyone else might be moving from desktop to mobile, Popcorn did just the opposite: earlier last year, they launched their desktop version, aiming to replicate its success with mobile on desktop. With Popcorn moving from mobile to the web, and now the launch of Cornflix TV — both of which are in the video and entertainment space — it seems like Ken Ming is slowly unravelling the pieces of his puzzle, as though he is trying to create a portfolio of entertainment media sites. S’pore’s Top Movie App Popcorn Moves To Web With Big Secret Plans For Movie Lovers!